An anonymous crew of South Seattleites wants Congress to heed lessons from the past. 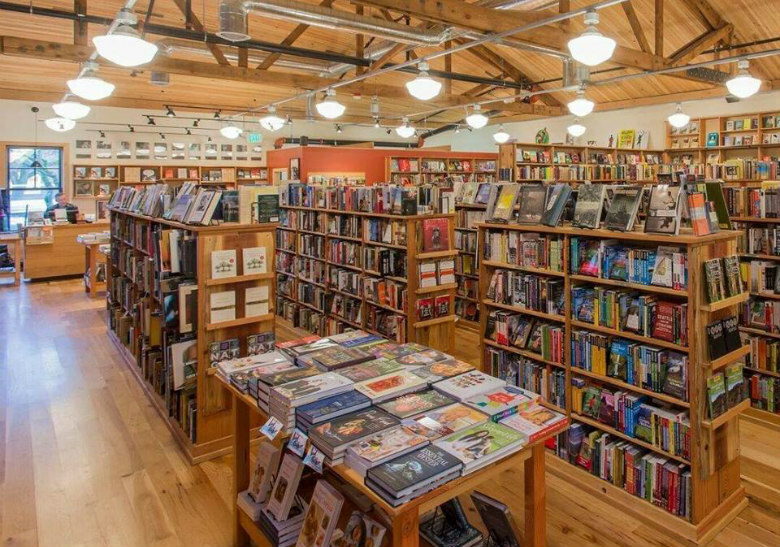 When the group approached Third Place Books, they were immediately on board. A few weeks ago, Kim Hooyboer, manager of Third Place Books in Seward Park, got a call from a group of concerned citizens. Inspired by Yale history professor Timothy Snyder’s book On Tyranny: Twenty Lessons From the Twentieth Century, these locals came to the independent bookstore with a bold proposition: help us send a copy of this text to every member of Congress. The response from Hooyboer and her bosses was enthusiastic. Third Place Books offered the group, who asked to remain anonymous to emphasize the community effort, a significant discount on more than half the books needed, plus space to write personalized letters and stuff envelopes. A friend of the group who lives in Vermont connected them with Vermont Book Shop, which is contributing the other half of the books. A New York Times Bestseller, On Tyranny has been an inspiration to more than just this South Seattle crew. Two East Coast women, Rhoda Isaacs and Judith Hochman, recently wrote an editorial for The Washington Post about their own fundraising effort to send On Tyranny to Congress. Hooyboer says this campaign is unrelated to the Seward Park community’s project, but that she’s not surprised others have been emboldened by the text. After all, Washington Post book reviewer Carlos Lozada went as far as saying On Tyranny is “only slightly less vital” than the United States Constitution itself. Accordingly, anonymous statements from the Seward Park group elucidated how On Tyranny showed them how similar the actions of the current administration are to actions of past tyrannical regimes. “Every day, I turn on the news and learn about some new disaster that Trump has created, or some new freedom, or land, or qualified government employee that has been taken away from American citizens,” said one member. “It is clear by the caliber of people Trump is putting in charge and the freedoms that his administration keeps taking from us, that their intent is to create either total chaos, or a dictatorship, and that scares me. Last Thursday, the group convened downstairs at Third Place Books Seward Park to write personal letters for the book mailing. Hooyboer, originally from Colorado, joined them to write to Colorado representatives. The books will be sent in batches throughout the week so that they will be waiting for Congress members when they return from holiday recess January 4. Though the group wanted to keep the letter writing and shipment more intimate, they are urging others to send handwritten postcards to members of Congress. The group has set aside funds for the postage. “The postcards are open for any appeals to Congress members, though we're encouraging folks to use On Tyranny as a point of reference and, perhaps, to encourage Congress members to read the copy of the book that they will be receiving,” said Hooyboer. Postcards can be dropped off at Third Place Books Seward Park by January 1. A selection of activist postcards from local artists Orange Twist are available for purchase at the store. “I think it’s really easy right now to want to close the doors, turn the lights off, and sit in a corner, but one of the important things we can be doing right now is educating ourselves and reading these books and having these conversations with your community,” Hooyboer said.